For those of you not following us on Twitter check out IGN's Q&A with Dan Houser. Why a single-player story with multiple characters? Why no multiplayer co-op? It would be impossible to do that and keep the level of precision we've got in this. You could make a great co-op game, but we felt that we're doing other bits of our multiplayer that will fulfill those desires in ways we think are very fun. 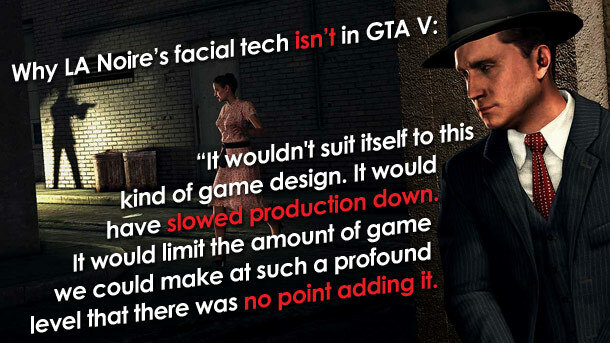 GTA IV had players making story-based decisions that drastically changed the game; will GTA V? We don't have the same choices as we had with Niko, for one very simple structural reason. Just keeping track of three stories as opposed to one story means it's harder to introduce a variable. You put a variable in a certain place and it just made our minds spin. Why aren’t Kinect and PlayStation Move in GTA V? One of the things we're doing now, just to talk about mini-games, is making sure when you go into the mini-games and when you come out of them it feels very seamless. It feels like part of the whole experience. If you were suddenly go, "This bit's Move, that bit's not, this bit's Kinect, that bit's not," it would feel very disjointed to us. That would be detrimental to the overall experience in exchange for a bullet point on the back of the box. That's not very appealing to us. 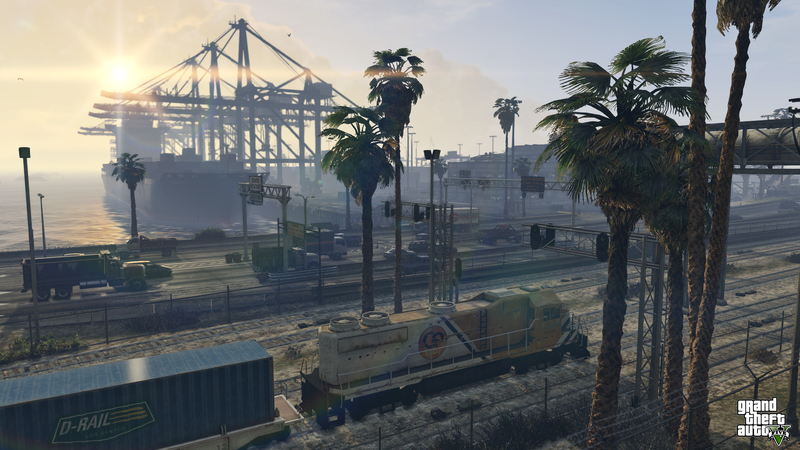 GTA V is only confirmed for Xbox 360 and PlayStation 3. Why not the PC, Wii U and so on? Everything else is up for consideration. That's all I can give you. The main thing is we are not... we are a third-party publisher. We're not Nintendo, we're not Sony, we're not Microsoft. We love all of them in different ways. But we can do what we want wherever there's the appropriate business opportunity and chance to find a market. If that's on Apple we put something on Apple. Wherever it might be. I think that's the fun in what we do. We see ourselves as a content company that uses technology. We don't make it; we use it to make the most fun stuff. 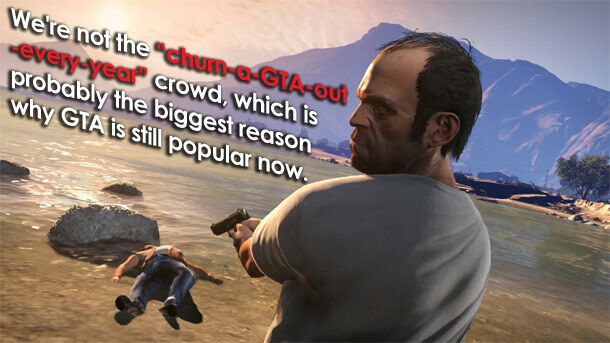 Why isn't GTA V a next-gen launch title? Some other people talk about the limitations of the [current] hardware. We don't feel there are that many limitations. We feel we can do some very impressive stuff and do it for a large audience. This felt like the way... There'll be a much larger audience on PS3 than there will be on PS4. At a creative level, which is the most important for us, we could say everything we wanted to say and do everything we wanted to do on these machines. We didn't sit there saying, "We'd like to do this in the game, but we can't." There's plenty of power in these machines. This world -- the range of height and between north and south and east and west -- is huge, and it's a real strength. It felt California. Oceans are there and tall hills are there. We wanted those in the game. For us, this kind of world, that was a big properly-realized L.A. and a huge slab of regionally appropriate countryside, felt like the most interesting match to do something new with. Doing other cities just didn't seem appealing. Doing small towns is very appealing. Will we see characters from GTA IV show up in GTA V? Packie's not in it. There may be the odd... They tend to be very small. The problem is that... You touched on this earlier. Because of a lot of the choices... We've never had a game where we've annihilated so much of the cast. So many of them were killed that we didn't really have a large amount of the main cast left over. There may or may not be a few guest appearances. Some really subtle ones for people to find. Little Easter eggs for people. Check out the full Q&A at IGN here and get in the GTA 5 forums! I am Brazilian and here too we are cheering along with you! I Also hope they bring back the tractors i liked the tractor they were pretty cool. @AC/DC fan.. I agree i like to cruse around in an old mussel car not just go really fast in a sports car. Also I would like old planes like the spitfire. We can only wait an see. They should have a cheat for god mode or something that way you can ragdoll with out dieing and jumping off buildings and living i would to have that and if it aint a cheat maybe a secret you can unlock it by or something i think it would be cool if Rockstar did that. But i know some of you dont like to use cheats until the story is completed. IGN Q&A With Dan Houser - IGN sums up an interview with Dan Houser into a list of key questions and answers.